Lately I am hearing the discussion about 2012 happen just about every day. 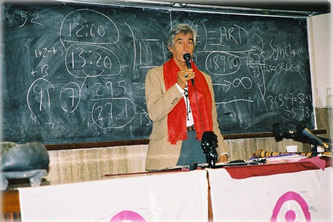 The concept of this being an important year was introduced to popular culture by Jose Arguelles at the time of the Harmonic Convergence in 1987. His work is inspired by Mayan astrology, and in that system we experience a turnover in the calendar, which — so far as I have been able to discern, from the best source I have — reaches the date 13.0.0.0.0 on Dec. 21, 2012. Part of Chichen Itza ruin complex in the Yucatan part of Mexico at the height of the Mayan civilization some 1500 years ago. Photo by Michel Mintaka. That 13 at the front tells us that on the winter solstice of 2012, the 13th baktun will have ended. A baktun is 5,125 years and five of them represent a “great cycle” — the precessional cycle of about 26,000 years. (Our scientists still cannot calculate an exact length of one precessional cycle.) This is one full wobble of the Earth’s axis, which makes the backdrop of the cosmos seem to slide along and which causes the astrological ages to change. When you hear about the “Age of Aquarius” that is a reference to precessional movement. There are no exact dates when the astrological ages begin and end (though it’s pretty clear from the early Christian iconography that we were in the Age of Pisces at the time of the presumed birth of Jesus/Joshua). Generally when people talk about an astrological age, they are making reference to the position of the Sun on the first day of spring in the Northern Hemisphere. This will come about one day earlier every 70 years. However, a Mayan scholar and philosopher named John Major Jenkins has proposed that what we need to be looking at if we want to understand the Mayan system is not the first day of spring but rather the first day of winter — the position of the Sun at the Winter Solstice. That would be the position of the Sun on the first day of Capricorn, which incidentally is where Pluto is hanging out lately. When you look at that, you find that it aligns closely with the center of our galaxy, and this, he says, is where we need to be getting our information. Because of the Earth’s wobble, that position is retrograding towards the Galactic Center and in particular the dark band at the center of the galaxy, which is known to some modern-day Mayan thinkers as the Road to Xibalba. It is the mythical opening to another dimension, the Mayan underworld; and the symbolism is distinctly yonic in nature. Cave systems in Belize and Guatemala have also been referred to as the entrance to Xibalba, though one physical expression referred to by K’iche’ peoples is the dark rift which is visible in the Milky Way. Jose Arguelles – Closing the Cycle Seminary, Rome – Italy. Photo by Frank DaSilva. Let’s set aside the Mayan symbolism for now and consider the Western astrology on the road to 2012. As of June 1, 2009 we are exactly 1,300 days from the winter solstice of 2012. During that time we experience many significant changes. For example, Uranus, Neptune and Chiron all change signs. We recently experienced the sign change of Pluto, which transited from Sagittarius to Capricorn (where it will remain until about 2023). As the other outer planets follow suit, our perception of the world will shift again and again with each of the transits. Then there exist a wide diversity of aspects that tell the story. The most significant of which is occurring right now, as you read this: Chiron conjunct Neptune in Aquarius. Jupiter also happens to be in the mix and even through June these planets are within one degree. Through the month of June they remain in an exact conjunction. My sense is that this is astrology that will shape our time in history. More to the point, it is helping open up a new dimension of reality wherein we have increased creative authority over our lives. And we can, together, create a space where we can meet in psychic space and physical space and restructure our patterns of social interaction. When we talk about the need for humanity to get free of its current moribund spiral descent into fear and self-repression, materialism and darkness, opening up such a living space, and recreating our relational patterns, is essential. Aquarius, where this conjunction is taking place, is the sign of both mental and social patterns. Neptune, which has been there for a decade, has melted away the structure of our old patterns, though for many introducing a layer of pure fantasy, media haze and drug haze that makes it impossible to see reality. 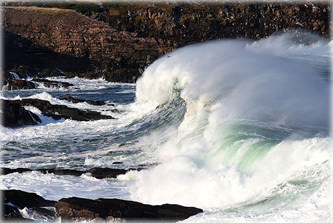 Chiron focuses Neptune energy, at once applying it precisely and providing an antidote, if necessary. Chiron is like a utility that helps us work with the energy of the outer planets. Its conjunction to Neptune draws in and clarifies Neptune energy like a laser, which can be applied to awareness, to healing and to creative endeavors. Jupiter adds a wisdom factor, the quality of expansion and a global theme. 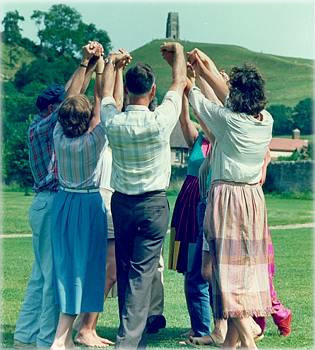 A group taking part in the “Harmonic Convergence” perform their sacred dance in the grounds of the ruined 14th century Chapel of St Michael. Credit: Topham Picturepoint. This aspect is big, and it is rare that we actually get to live through astrology consciously as it shapes our generation. Such is one of the powers granted by the Internet, and I am certain that the Net is one of the most important platforms for the changes we are witnessing. Yet what I am really describing is an entirely natural network in consciousness that is opening up and that we can access. I described this recently as a phenomenon of 6th dimensional morphogenetic fields in my weekly magazine. This aspect holds well into 2010 and is a threshold to what follows next, leading to the first full-on 2012 astrology, which occurs in June 2012: the Venus transit of the Sun, and Uranus square Pluto. 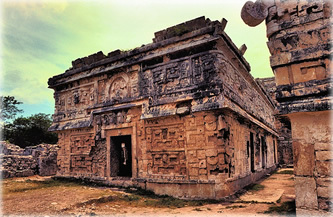 The Venus event is a precise conjunction to the disk of the Sun, a rare event the Mayans revered. Uranus square Pluto is astrology that says liberation and revolution like nothing we have seen since the mid-1960s. While there is a lot of noteworthy astrology on the way to 2012, that is the year that the really interesting movement begins. However, I can assure those who wish to participate in the strange, the new and the unworldly will find plenty of intrigue and growth opportunities as these aspects unfold on the road to Xibalba. All in all, what we need to give up is our attachment to our fears, our defenses and inert fantasies. We don’t need to give these things up all at once — the place to start is with our commitment to them. What I am saying here is that the reason we tend to have so much negativity in our lives is because we’re attached to it. That doesn’t mean we want it, but it does mean we tend to cling to it like it was some precious thing to be proud of, rather than something to let go of and embrace the framework of the next phase of reality. 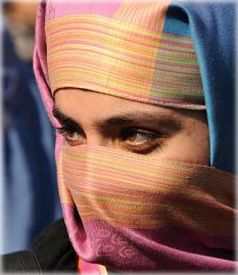 One other crucial quality we must embrace is the feminine side of our brains, meaning our body and our consciousness. I don’t mean gender bending, but rather a true encounter and integration with the biophilic (sensitive to all of life) quality that is distinctly female. I would propose that this is something essential particularly for women; through this process they can bring in their natural healing gifts and allow them to flourish. The following is an abbreviated list of events between now and 2012. More examples are available at PlanetWaves.net. These are two very small, meaningful planets orbiting our Sun in the relatively new centaur class. They are currently in a square (90-degree) aspect. This aspect repeats in seven separate events between now and 2012, and as such is a constant companion along the way. The square is currently from Scorpio to Aquarius. It will gradually shift to an aspect between Sagittarius to Pisces. The Milky Way near Cygnus showing the lane of the Dark Rift which the Maya called the Xibalba be or Black Road. In mythology, Chiron and Chariklo were consorts; she was a nymph and the wife of the famous surgeon, healer and mentor. Their story contains none of the philandering, mockery and hubris that is so common to the Greek myths. Yet they endure the many pains of the world and endure the flaws of both humanity and the gods. Chiron is about healing processes that benefit from or demand the raising of awareness and a humble approach to life, as tempered by awareness of both mortality and immortality. In a square aspect, they are here to help us work out a dynamic in our relationships that is held internally. Our issues with fear, abandonment, psychic pain, physical sickness, inferiority and jealousy are all internally mediated. Chariklo’s presence is calling us to be present for our own healing process. She is holding devoted space for us to make peace with our dualistic human/animal nature, and to gradually integrate the two without judgment. An antiwar movement is emerging in Afghanistan. Photo by Shah Marai. In November, Saturn transits from Virgo to Libra. Once there, it will begin a series of three squares to Pluto in Capricorn. This will take place in aspect to the Aries Point, that is, the first degree of Aries, which magnifies the connection between the personal and the political. When Saturn and Pluto get together, the results can range from violence to a conservative backlash against our inherent freedom as humans. In 2001, we experienced the opposition of Saturn and Pluto and we all saw the results, which lasted for the ensuing decade and created damage we are still dealing with. Indeed, we will for a long time. We now have an opportunity to see how our own obsession with fear and suppressing our life force contributed to the catastrophic aftermath of the Sept. 11 incident. People who fancy themselves ‘conservative’ will have a chance to see the fear that is at the core of that ideology. Those who fancy themselves ‘liberal’ will have an opportunity to apply structure and discipline to their lives in the way that is essential to existing in an actual state of freedom. Through this aspect we will all have a significant opportunity to assess our relationship to fear. We will get to bear personal witness to the idea that trust is the key to love. Chiron and Neptune enter Pisces (2010-2012). Both planets are now at the end of long passages through Aquarius, in a conjunction. As this conjunction separates, Chiron will lead the way into Pisces, beginning in 2010. Neptune will follow over the next two years (slow planets take a while to go into a new sign, usually retrograding back into the prior sign once.) In effect this is one transit and represents the full activation of Pisces energy. We are accustomed to all the toxic forms of Pisces, from violent films to television advertising to wanton consumption of alcohol to every mood-altering pharmaceutical to spill out of corporate laboratories by the train carload. We obsess with status, fashion, appearance, glamour and living fantasy lives. Then to this we try to add a little sprinkling of ‘spiritual’ as if that would magically open the way to God. Neptune is the modern ruler of Pisces. Its presence there will refresh the spiritual waters, flooding through both society and consciousness with revitalizing life. Chiron will make us aware of how toxic our ways of living and thinking are, and introduce — often poignantly — awareness of how we need to feel our emotions, our bodies and our souls. The mighty liberator Uranus, the planet of foresight, technological advance, innovation and revolution, will personally cross the Aries Point three times starting in 2010, ending up in Aries to stay for seven years in 2011. If we are looking for a tipping point where the signs of change are inevitable, and this odd thing known as ‘the public’ actually wakes up, this is the event. On the personal level, this aspect says we have to think of ourselves differently. The real evolution is not a news event but an awakening of who we think we are. But we don’t need to wait around — this awakening is happening right now, just when we least expect it. Tomorrow’s New Moon in Virgo at 25º59’, exact at 11:44 AM PDT (CA time) is so striking (in attachment) that I’m compelled to write about it. We are literally reaching the point of no-return talked about on the Hopi Wall of Prophecy as well as in the Mayan Calendar ending on 12.21.2012. This is the time where the separation between those who are choosing Ascension and those who wish to remain attached to the old consciousness of fear, manipulation, anger, negativity and radiance-less ego is becoming so huge as to create a gap that no longer can be bridged. Our Star/Soul family is either already around us, or -if we find ourselves having been recently rejected by those we thought were friends-, about to come and embrace us. No compromise is possible with what is not in alignment with our integrity. And if this means relinquishing a relationship, severing ties with friends or family members or loosing our house or our job, so be it. Freedom always has a price and hanging on to what needs to pass, would only deviate our evolution in the long run. This chart talks about the necessity to keep of the old (old identifications, old responsibilities, old duties, old roles….) only what still works for us, what we still wholeheartedly believe in, and empty handedly jump into the void, trusting that even if we cannot see the cosmic safety net, it will support our “fall” with grace and ease. “Fall” is really a “rising”, an ascending to higher frequencies and planes of consciousness. This chart also talks about the development of unconditional love, the understanding that we are all one and that what we do to another, we are truly doing to ourselves. There should a great acceleration in all of our lives, for good for those who are having the courage of their integrity, and for worse for those who are insisting on a path of self-absorption. Powerful inner transformations will take place, allowing us to access more of all that we are. Just by listening to our inner feelings, we have the ability to release enormous amounts of residual karma in a very short amount of time. We could discover inner talents that prove incredibly lucrative. We could become very aware of our diet, our exercise program and very concerned about the quality of our food, our environment and our water. Many could be led to move very suddenly and quite unexpectedly, picking up and leaving almost from one day to the next. The more we find inner completion and share our resources with like-spirited others, whether they be money, ideas, friends…. fascinating new horizons will unfold. Dimensions that lie beyond our wildest imaginations. This is where we have to trust in the magic of this whole process. Miracles are what make the tapestry of life if we just allow ourselves to surrender to what we are arriving to, one moment at a time. Doing a fire ceremony within 24 hrs of the New Moon is always a good idea, to assist the magic of this moment of cosmic renewal. If you have a fire pit, by all means, take advantage of it, otherwise, just a lit candle will be good too. As we release into the fire a stick – or toothpick-, in which we have blown all that we want to let go of, we are ready to make the offering to the fire of another stick into which we have blown all that we want to welcome into our lives. What counts is the purity of our hearts and the power of our intentions. What we can visualize, we can manifest, now more than ever. Enjoy!